Rick McKernan has a birthday this Wednesday, March 29th. Wonder how old he is? Will he still be mourning over his Kansas Jayhawks LOSS this past weekend? Jim Murphy presented the gift card to our newest member Nadia Ryakhmytulloc; came to today’s meeting with member application and check. Nadia is General Manger at Candlewood Suites – one of Columbia’s newer hotels. Thank you for joining our club and welcome Nadia. Member David Murphy, Chair of the Missouri Conservation Commission, talked about the Missouri Conservation state sales tax which was implemented in 1976. This state sales tax is 1/8 of one percent. He had a state Senate hearing to attend later on Monday afternoon concerning this tax. Club thanks David for his work on this commission. Sign In — Carl Scott paid for not wearing his name badge; money is going to a good cause – Childhood Cancer Campaign. If only he knew where the badge was. Tree Dedication ceremony for 50+ years of club membership to Forrest “Red” Leighton and James “Jim” Beckett on Tuesday April 4th at 5:30 P.M. at the Downtown Optimist Park on the corner of Forest and Grand Ave, one block south of our clubhouse. If the weather is bad, ceremony will be in our clubhouse at 1201 Grand Ave. Officer Nominating Committee of Mike Hatchett, Harold Rowe, and Carl Scott is still looking for members (all ages and gender) to step up to be club officers and board members for next year. We need future leaders to continue the legacy that Red and Jim has started for our club. For young members this is a great opportunity to improve your leadership skills. Volunteer event – On Friday April 14th there will be an opportunity for our club to volunteer for the City Street Cleanup at Douglas Park starting at 8:30 A.M. If interested, contact Carl Scott at cscottrun99@gmail.com. March 25-31 is International Week of Service – One service organization helping another in your community. Three ‘young’ Optimists (Max Miller, Larry Fick, and Carl Scott) attended the Columbia Kiwanis Pancake Day on Saturday morning March 25th. 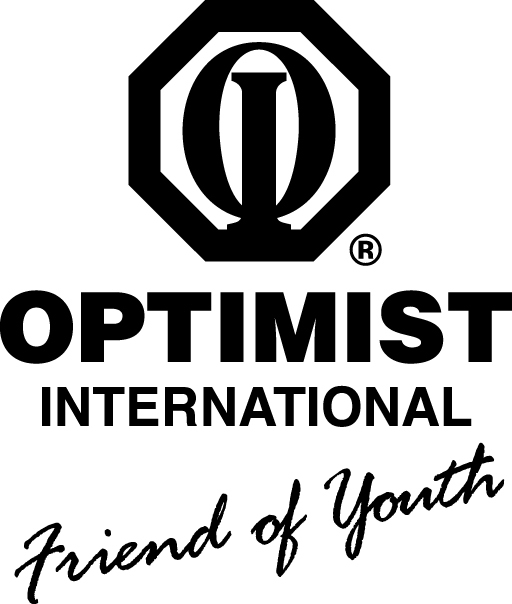 New Optimist Members recruitment event (YOHO) – Members C.O. Scheffer, Mike Hatchett, and Jessica Kempf are coordinating this event. The 3rd ‘Young Optimists Helping Others’ will be held at 1839 Taphouse at 212 E Green Meadows Road, Suite 2 on Thursday April 6th starting at 5:00 P.M. Soap Box Derby – Rick McKernan handed out a plaque from Whiteman Air Force Base thanking the Downtown Optimist Club for co-sponsoring the soap box derby rally race inside one of their hangars on March 11 and 12. The local soap box derby race will be on Sunday June 11th at the Columbia Raceway (7th & Broadway). Scholarship – Cyrilla Galbreath announced she was waiting to see if more applications come from the 4 public schools. Judging currently being done by Max Miller, Carl Scott, & Cyrilla. Volunteer at the Food Bank Day – Larry Fick, Jim Murphy, and Carl Scott are volunteering at the Food Bank every Monday afternoon after our weekly meeting. Looking for more club members to join them. Easy fun activity packing Buddy Packs, hot dogs, chex mix, cereal, cookies, and fish (Yum Yum); get your 10,000 steps indoors on rainy days like today. Please volunteer on other days if Monday’s afternoons are not convenient. For young members this is a great Happy Hour event after work; volunteer and then drink afterwards. Downtown Optimist Club members have volunteered over 75 hours at the Food Bank since we started in Jan 2017. The Food Bank of Central & Northeast Missouri is holding a special event for families this weekend on Saturday April 1 – Kids Helping Kids Day. Designed for children ages 4 to 12 along with their families packing food from either 9:00 to 11:00 A.M. or from Noon – 2:00 P.M.
MU Baseball Game Day – The club outing to the Friday March 31 MU baseball game against Florida has been cancelled. A minimum order of 10 for Group tickets was needed; only 5 definite. Club will try to organize a group to go to a later MU SEC baseball game. Bike Safety Rodeo – will be held on Saturday May 20th. Member Mary Dewey is in charge. Art in the Park – Event will be held on the weekend of June 3 and 4 in Stephens Lake Park at Old 63 & Broadway. We are sponsoring the Children’s events; club will have two displays inside a tent. Member Harold Rowe is in charge of this event. EMO 3rd Quarter District meeting in Creve Coeur, MO on Saturday April 29th. Hotel reservations at Drury Hotel are due by April 7th. The District Oratorical Contest is the main headliner. See Ed Musterman if interested in going to this District meeting. The 99th Optimist International Convention will be held in Albuquerque, NM on July 6-8. KidsFirst Optimist Club is having a Trivia Night on Saturday May 6th with a Kentucky Derby theme; proceeds will go to Cedar Creek Therapeutic Riding Center. Cost is $30 each which includes dinner. Trivia contest among teams plus silent auction items. KidsFirst Optimist Club is asking if Downtown Optimist Club would be interested in getting a trivia team of 8 people together. They are also looking for donated silent auction items. Reminder: Please vote next Tuesday April 4th. Dr. Linda Schust, Director of Jabberwocky Studios was our speaker. First, she talked about her Jabberwocky Studios. It is located at 1308 Grand Ave on the north side of Business Loop 70. Their mission is to build a community among diverse people thru the arts. Non-profit studio fostering inclusivity through art. Studio teaches young people dance, art, and music. Sunday April 30 from 1:00 – 3:00 P.M. at the Heart of Missouri United Way building at 105 E Ash St.
Africa Fest on Friday May 5 from 5:00 – 7:30 P.M. and Saturday May 6 from 10:00 A.M. – 7:00 P.M. at Missouri United Methodist Church in downtown Columbia. Also Dr. Linda Schust talked about Jabberwocky Studios doing a mural painting outside at our clubhouse this summer on the north wall. Artistic Director Joe Schlottach who will be in charge of the mural was not available today. Linda explained that they would employ 9 local youth painters (8-12 grade). This is part of two central Columbia neighborhood mural projects; the other will be at the Downtown Optimist Park. She showed a preliminary draft of the clubhouse mural. It encompasses 3 main projects of our club: Bike Safety, Pinewood Derby, and Christmas Tree Fundraiser. Note: Club quickly told her it was Soap Box Derby. As part of “Friend of Youth” add “Since 1936” somewhere on the mural. Add kids inside the two Soap Box Derby cars. Look at an actual car; Rick McKernan will show her cars. Make the derby track more like a street with two lanes instead of an elevated track by filling in between the tracks solid. Put the name “Broadway Blvd” at one end of the street. Overall the club was impressed with the mural painting. April 3 – Bruce Young, Exec Director, Giving Gardens and Central MO Sheltered Enterprises. April 24 — Zone 2 Optimist Clubs (KidsFirst, Sunrise, Midway, and Hallsville) invited. May 1 — Valerie Livingston, Exec Director, Boys and Girls Club. ← 1st Place in District Points!